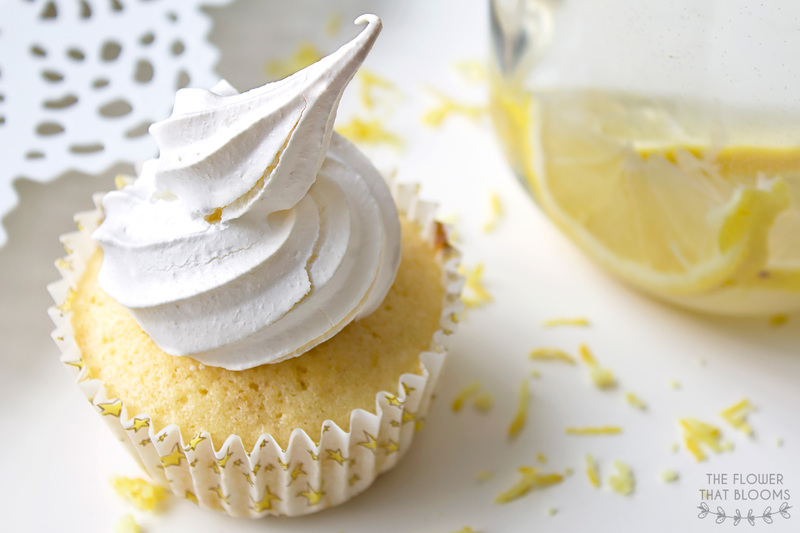 Lemon meringue pie and cupcakes are two of the best foods you can eat, so what happens when you put them together? Whenever I (Rachel) have a day off work I find myself flicking through numerous recipe books, hoping to find something unique and tasty to make. I really fancied something lemon-y the other week, but baking lemon meringue pie is just too time consuming and who can be bothered to wait around for food that will only take seconds to eat? 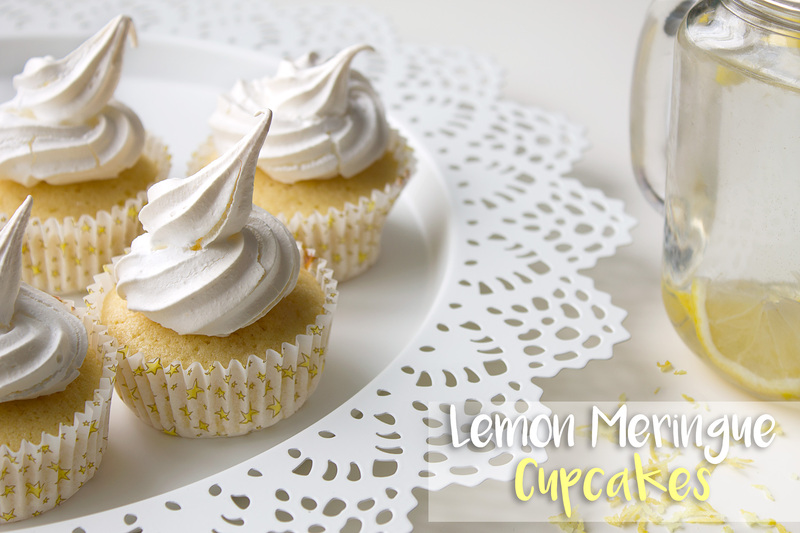 I had the best idea when I thought of making lemon meringue in the form of quick and easy cupcakes and I managed to find a recipe for just that! Preheat the oven to 180°C and line a muffin tin with cupcake cases. Cream the butter and sugar together in a bowl until pale and fluffy. Beat in the eggs, one at a time, then sift in the flour and fold into the mixture. Lastly, stir in the lemon zest and juice. Separate the mixture in half. Divide one half of the mixture between the cake cases and use the back of a teaspoon to make a small indent in the middle of each. 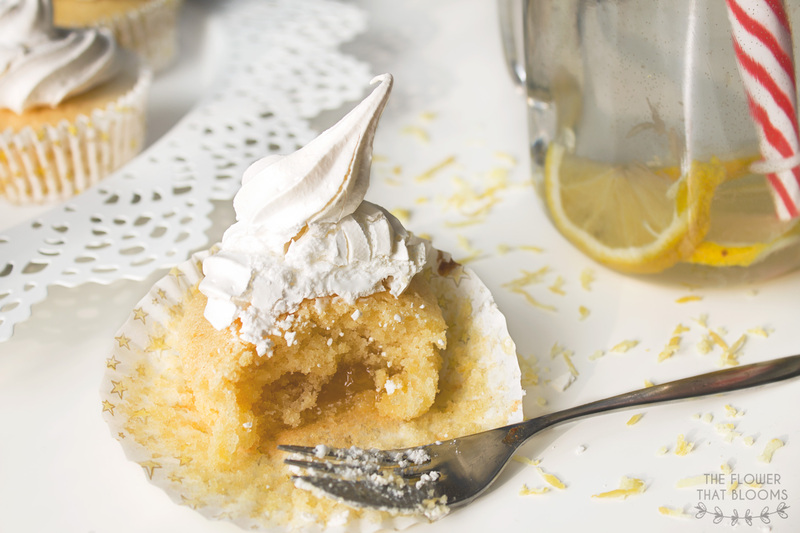 Drop a small teaspoon of lemon curd in the middle of the cakes, then cover with the rest of the cake mix. Bake the cakes for around 20 minutes until risen and slightly golden. To test whether they are cooked, you can stick a cocktail stick in the centre and if it comes out clean, they’re done! Transfer the cakes to a wire rack and leave them to cool. Meanwhile, you can start making your meringue topping by adding the sugar and egg whites into a bowl and placing it over a saucepan of water on a medium heat. Using an electric hand mixer, whisk for around 5 minutes until the mixture is thick, glossy and can stand up in peaks. Transfer to a piping bag with a star shaped nozzle and either pipe straight onto the cupcakes or onto a lined baking tray. I put my meringues in the oven for around 10 minutes, just to let them crisp up a bit and then ‘glued’ them onto the cakes using leftover meringue mix! If you choose to pipe straight onto the cakes, let them sit for 30 minutes for soft meringues or up to 3 hours for firm meringues. 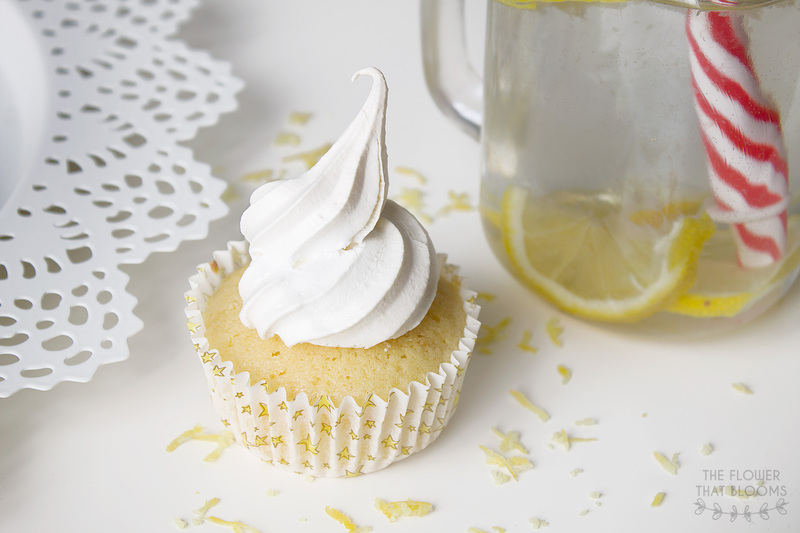 When you bite into the cupcakes, the zesty lemon curd spills out, which makes the cupcakes actually taste like mini lemon meringue pies! If you’re a fan of lemon meringue but want to make something a little bit quicker you should give these a go. You could even try making your own lemon curd if you have the time! If you give this recipe a go yourself or make something similar, let us know in the comments! These look and sound absolutely gorgeous, I may have to attempt to make them! 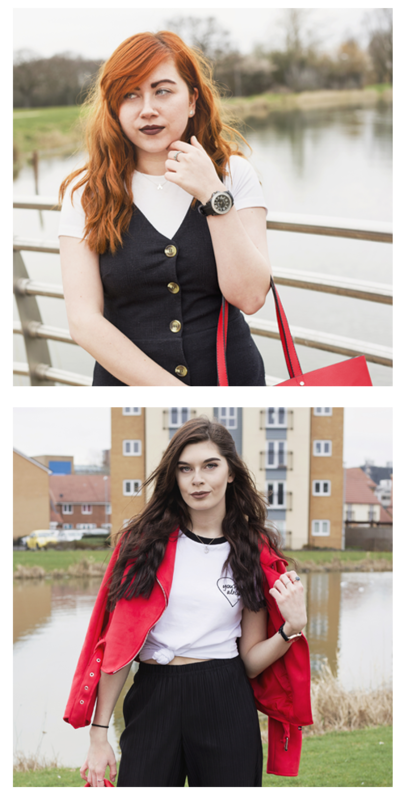 Oh my goodness, this post came at the perfect time – it’s my boyfriend’s mum’s birthday this week and I’ve been agonising over what to give her, but I think I just found my answer! Hope life is sunny where you are! These cupcakes look great! You did an amazing job!